No one plans on a dental emergency. Fortunately, Dr. Ed Trizzino, a family and cosmetic dentist at Smiles of Atlanta, provides emergency dental services to patients from throughout Northern Atlanta, Georgia, including the communities of Sandy Springs, Dunwoody, Brookhaven, Alpharetta, Roswell, Norcross, and Tucker. Whether you break a tooth or develop an excruciating toothache, Dr. Trizzino and his team are available to help. If you have questions about emergency dental care, call the office for a same-day appointment. What types of dental issues are considered emergencies? If you lose an adult tooth, find the tooth, and gently place it in its socket. If you can’t put the tooth in its socket, nestle it between your gums and your cheek. As a last resort, you can put the tooth in a small container of milk, but never water. It is important to keep the tooth moist while you are on your way for emergency dental care. Don’t touch the root of the tooth as this may cause additional damage. If possible, call Smiles of Atlanta, and let them know you are on your way in with an emergency. If you lost the tooth because of a trauma, for example, an accident while playing a sport, Dr. Trizzino might be able to save your tooth. However, if you lose a tooth because of gum disease or decay, it is less likely your tooth will be preserved. What can I do to reduce my chances of having a dental emergency? Though some accidents are simply unavoidable, there are certain safety precautions you can take during higher risk activities. For example, if you play on any sports teams, make sure to wear appropriate protective mouth guards and helmets. Also, practice good dental care by brushing at home, flossing daily, and attending routine dental appointments to ensure that your teeth and jaw stay strong and healthy. Finally, don’t use your teeth for anything but smiling, biting, and chewing. Prying open lids or other inappropriate activities can break or chip your teeth. 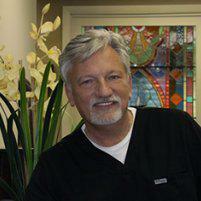 If you have a dental emergency, call Dr. Trizzino at Smiles of Atlanta for advice. In some cases, you may need to come into the office immediately for treatment, but in other instances, you may be able to wait for an appointment later in the day or the next day.